As The Diplomat noted on Tuesday, Japan and North Korea held talks this week in Stockholm, which ended on Wednesday. 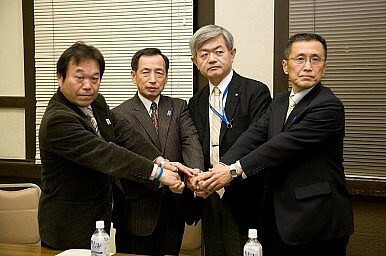 After much speculation as to whether or not the two sides would be able to strike an agreement over a raft of issues (including the North Korean abduction of Japanese citizens, Japanese sanctions, and North Korea’s nuclear and ballistic missile testing), it appears the two sides have reached a tentative agreement concerning the two most easily resolved issues. On Thursday, Japanese Prime Minister Shinzo Abe said that North Korea had agreed to reopen an investigation into the abduction of Japanese citizens in the 1970s and 80s, according to Reuters. In a separate interview, Chief Cabinet Secretary Yoshihide Suga said that once the probe is reopened, Japan will ease certain sanctions. Depending on the results of the investigation, Japan might also consider providing humanitarian assistance. The above Reuters article also stated that, when Suga was asked if Tokyo had taken a position out of step with its allies, he said, “It’s impossible. This agreement covers sanctions that Japan imposed on its own. It is not related to U.N. sanctions.” He also said that Japan would not normalize relations with North Korea until their was a “comprehensive solution” concerning not just its abducted citizens, but also North Korea’s missile and nuclear development programs. The Japanese and North Koreans have demonstrated that narrowing the scope of negotiations can produce limited, incremental progress. Each side may be using each other in order to service a different agenda; for instance, North Korea may have hoped to cause friction in the U.S.-Japanese-South Korean alliance. However, the resolution of lower-level, bilateral issues provides a framework for continued dialogue, should any of the regional parties concerned find the need and opportunity to do so. Japan-DPRK Summit Scope Remains LimitedJapan-North Korea Negotiations to ResumeJapan: North Korea Still Poses ‘Serious and Imminent’ ThreatShinzo Abe's North Korea DilemmaWhat Can Trump Learn From Kissinger on North Korea?